Website: Eastern Machine & Conveyors, Inc. 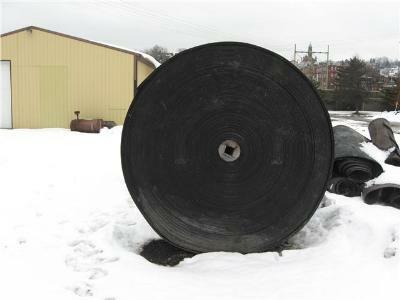 Description: 7,265' 42" 2 ply 1000 piw NEW Goodyear Plylon Plus Defender Conveyor Belting. Covers: 1/4" top x 1/4" bottom. Description: 592' 42" 4 ply 1000 piw. NEW. MSHA PART #14. 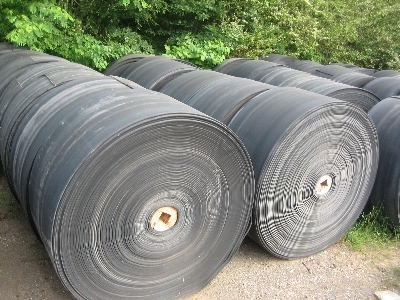 Goodyear Glyde Shield Conveyor Belting Covers: 1/4" top x 1/4" bottom. Description: 3,056' 48" 4 ply 1000 piw. NEW. MSHA PART #14. 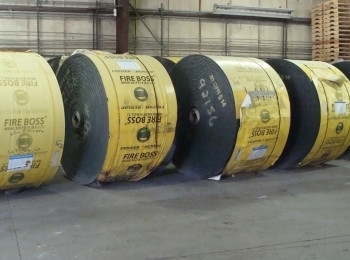 Fenner Dunlop Fireboss Conveyor Belting. Covers: 1/4" top x 1/4" bottom. Description: 54 inch 3680 ft ¼ x 1/8 3 ply 1200 piw 8 rolls 460 ft long NEW GoodYear Arma. 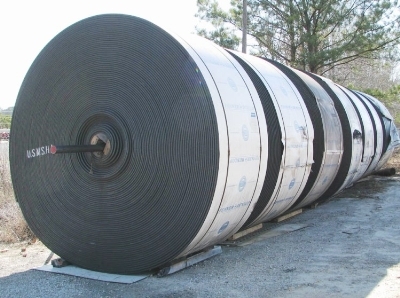 Description: 40,000 ft of 36 inch used steel cable mine belt ST rating 900 covers 1/4 x 1/8. add this to the available used belting. Like new. 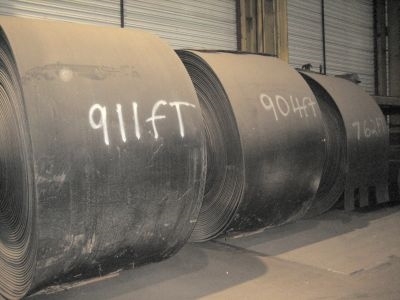 Description: 7,886 feet of Fenner/Dunlop FD Americans 54" width PSR 4 ply 2,000 PIW Guardian 1/4" x1/8". Average roll length is 1,125 feet and will weigh approximately 30,620. 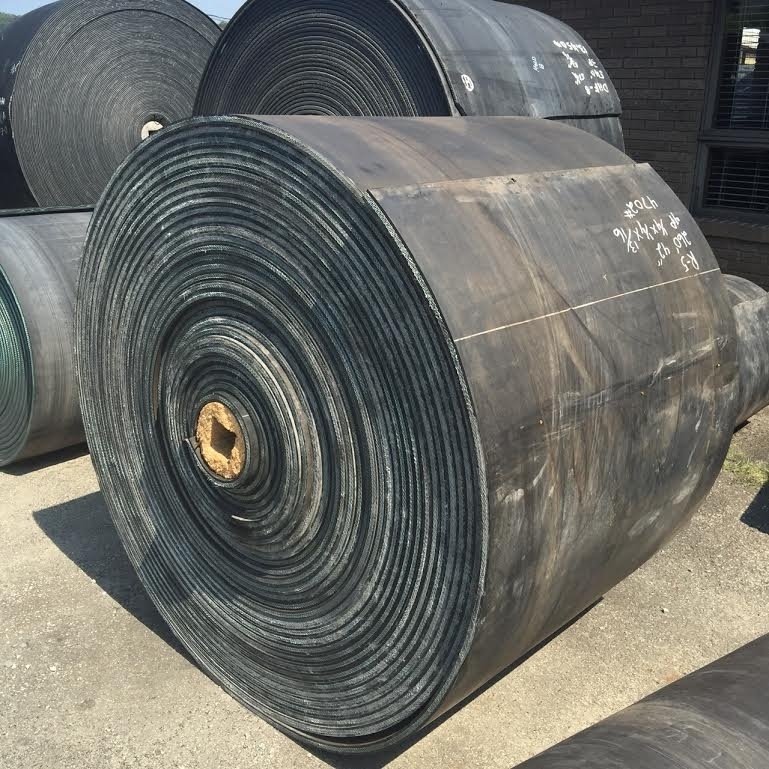 Description: 25,000 ft 60 inch 4 ply 800 piw Used Conveyor Belting Available for immediate delivery - 25,000 ft 60 inch 4 ply 800 piw used conveyor belting 9\16 thick, 3\16 top cover 500 foot rolls. Description: 5/8 thick 1/4 top 1/8 bottom roll sizes 1169,1194,1258,1258,1296 this belt is $30 ft new. US flex this belt has been run and inspected in very good condition. 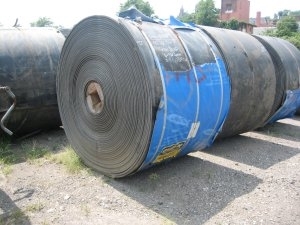 30,000 ft of steel cable belting !/4 inch top cover 1/8 bottom, excellent condition. More Used Equipment from Eastern Machine & Conveyors, Inc.
See More Equipment From Eastern Machine & Conveyors, Inc. Featured Listings From Eastern Machine & Conveyors, Inc.
View more about Eastern Machine & Conveyors, Inc. on SupplyMine.